Life has been a bit busy lately. I feel like I haven’t had time to plan a solid meal for any of us! I definitely always have frozen purees on hand for Turner, but he’s getting a bit picky when it comes to food! 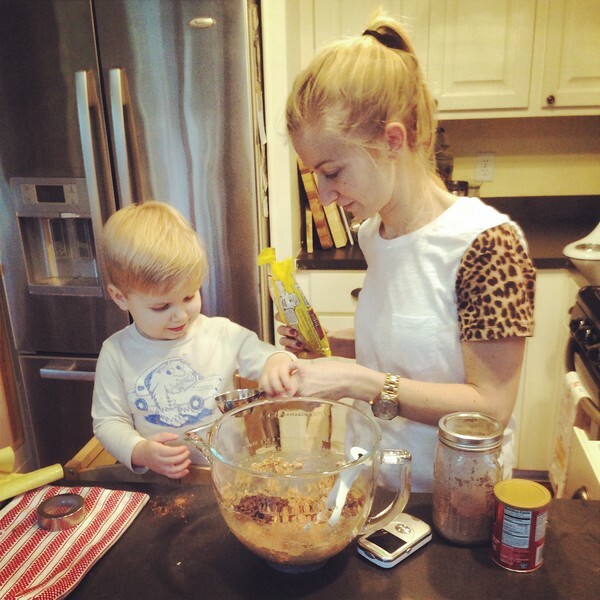 He LOVES peanut butter sandwiches, anything with sweet potatoes, bananas with avocado, and oatmeal. Those are pretty much the staples around here. 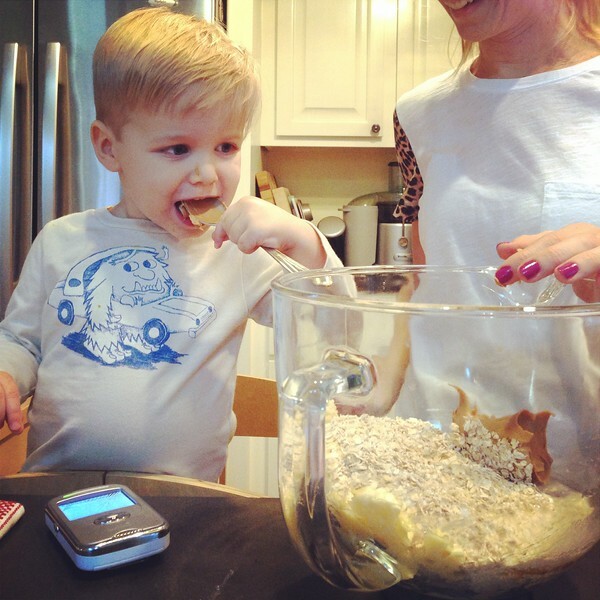 But, in an effort to keep him NOT picky, I’m committed to making him different foods that will peak his interest. 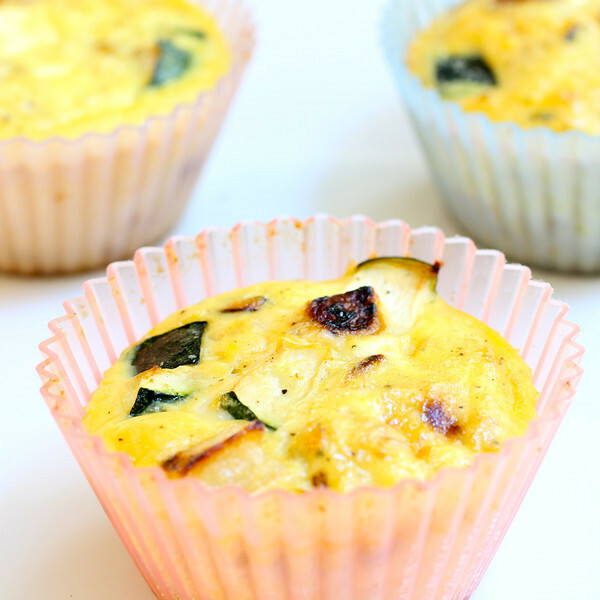 I made a batch of Frittata Cups this morning. 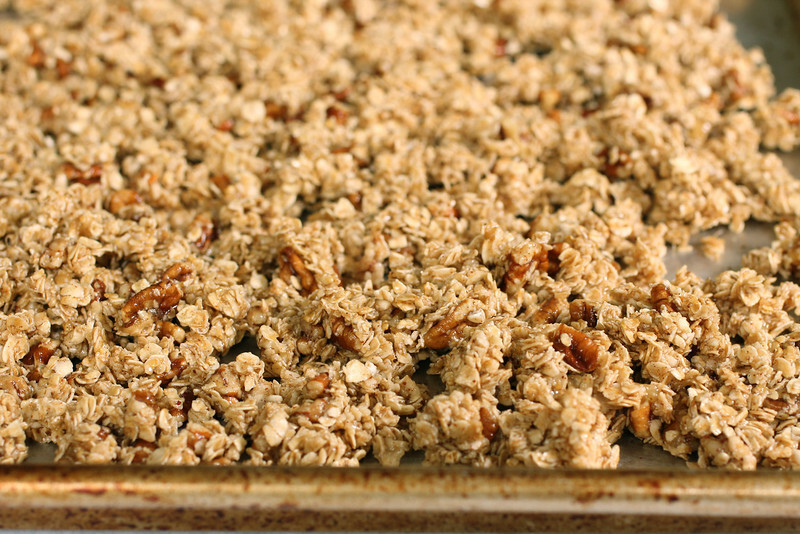 He loves them and they’re perfect for “make ahead” healthy meals. I keep them in the freezer and just take one out and put it in a container in the fridge the night before! They couldn’t be easier to make. I start by cooking the frozen potatoes until they’re browned, about 5 minutes. 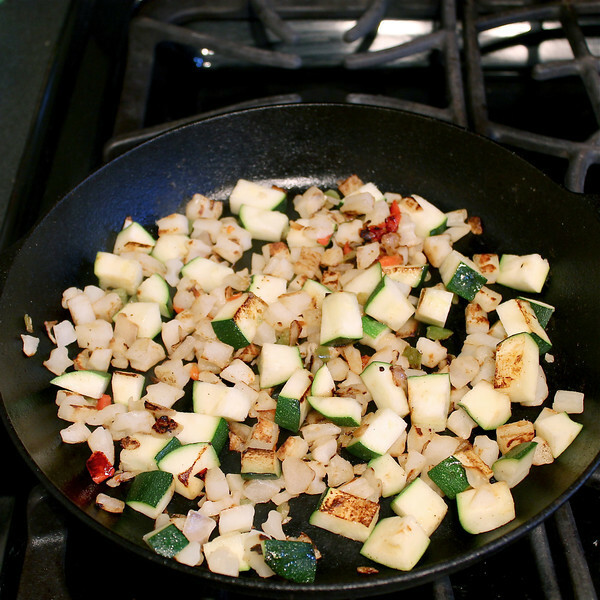 Then I add a diced zucchini, and cook one more minute until it’s softened. I pour that onto a plate to cool while I prep the rest of the ingredients. 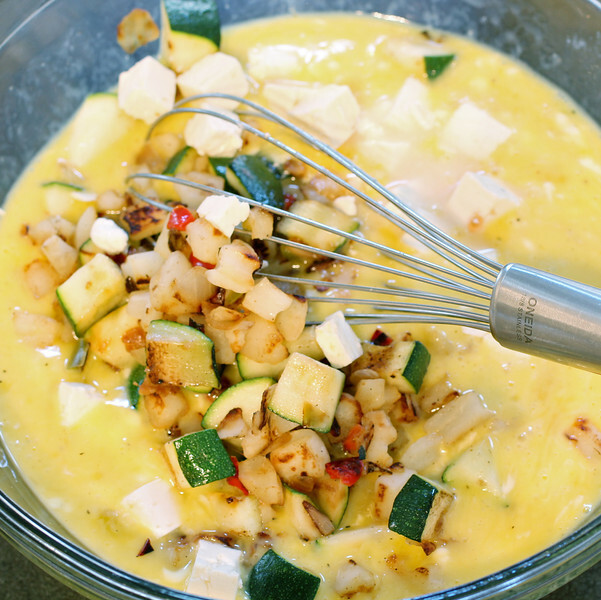 In a large bowl, I whisk together the eggs, water, yogurt, salt & pepper. Once that’s combined, I stir in the veggies and cheese. 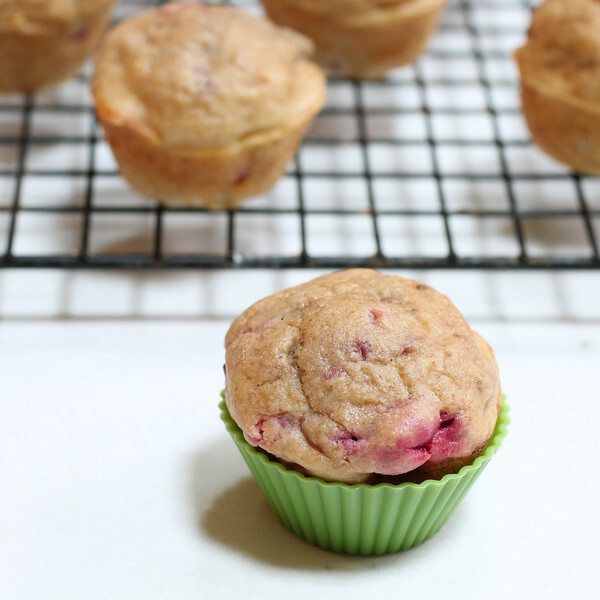 Finally, I use a quarter cup measure to scoop the mixture into a muffin tin lined with silicone baking cups . I cook them for 30 minutes at 350F until they’re nice and firm. YUM! Stew and I actually eat them too. They’re great for him because he leaves early in the morning for work. So he just pops them in the microwave and has breakfast on the go! It’s hard to believe it’s Christmas Eve Eve already! We have been busy busy! Tomorrow we are going to my grandparents’ house, and Wednesday we will go to my mom and stepdad’s house. Our family doesn’t really do big presents. We either do a secret santa, or a little homemade gift. So I put together a few gift jars for my family and thought I’d share! I used my Breakfast Cookie recipe, because I had everything on hand. 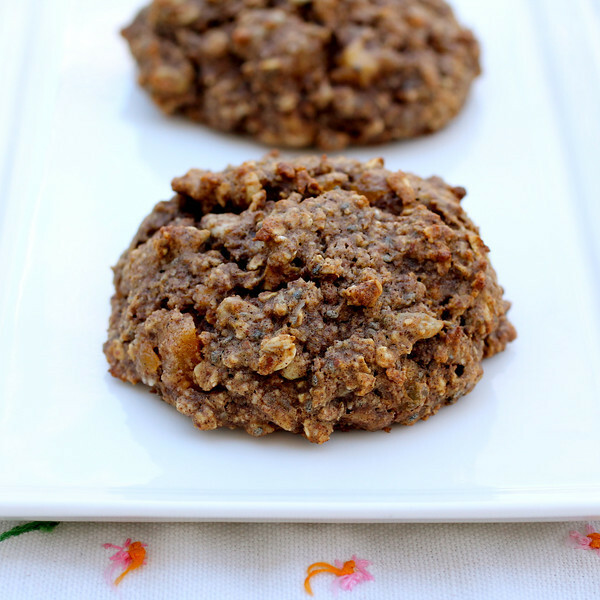 I feel like everyone is done eating cookies and unhealthy things by the time Christmas rolls around, so I’d rather give them a little “healthy” cookie option! I made a wax paper funnel to pour the ingredients into mason jars. Print labels for the front. 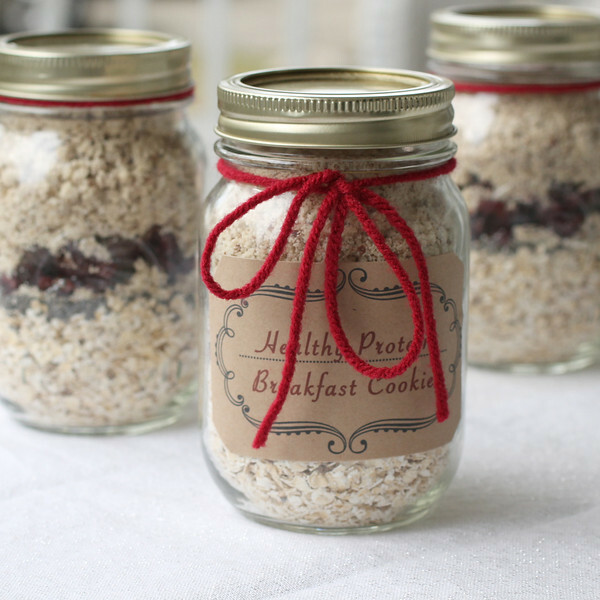 Write the directions on little cards and tie them to the jars with red yarn. 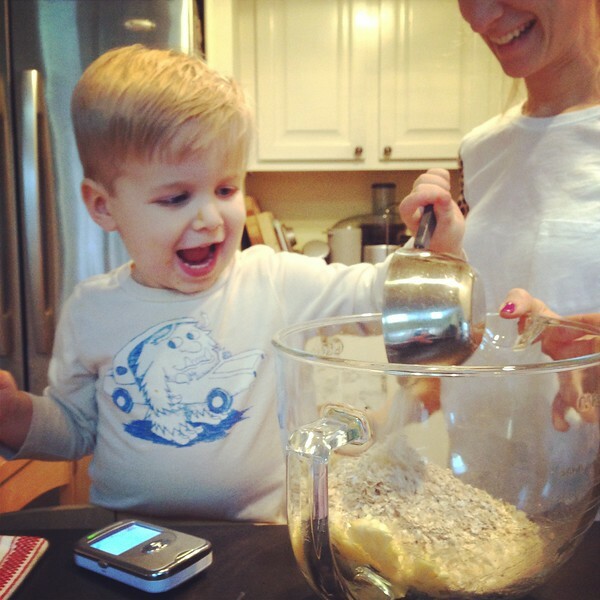 Pour cookie mix into the bowl of a standing mixer. 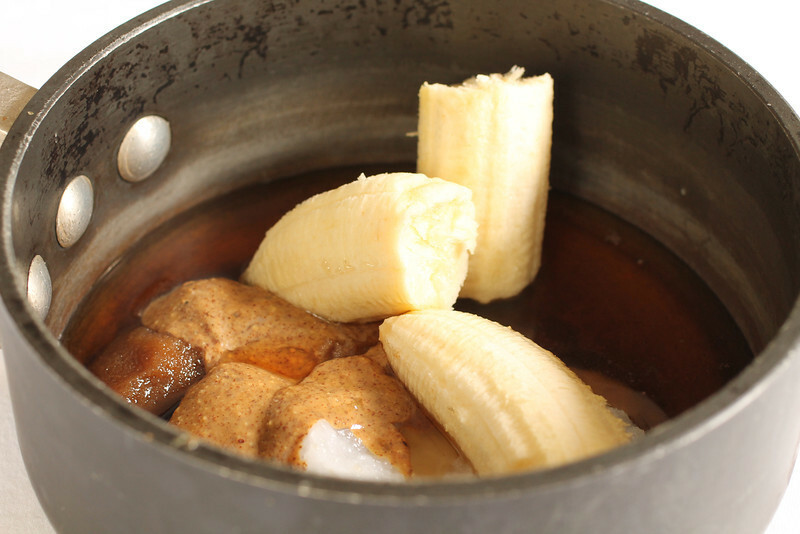 Add 1 mashed banana, 1/4 cup unsweetened apple sauce, 1 Tbsp maple syrup, 1 heaping Tbsp peanut butter. These are the perfect way to show someone you care without spending a lot of money! Merry almost Christmas! This was a weekend of major food prep! This is a “chemo week“, so I like to get as much done in advance as possible. We have Supper Club (Standing Rib Roast Recipe to come!) tonight, so yesterday was the big “prep day”. The first few chemo treatments, Stew was sick for a solid 4 days, so I didn’t worry too much about food. It was mainly chicken soup and saltines all week. But since he started his acupuncture and chinese herbs, he is a hungry beast (yay)! Now I actually have to plan meals for the week! On top of that, Turner is eating me out of house and home! 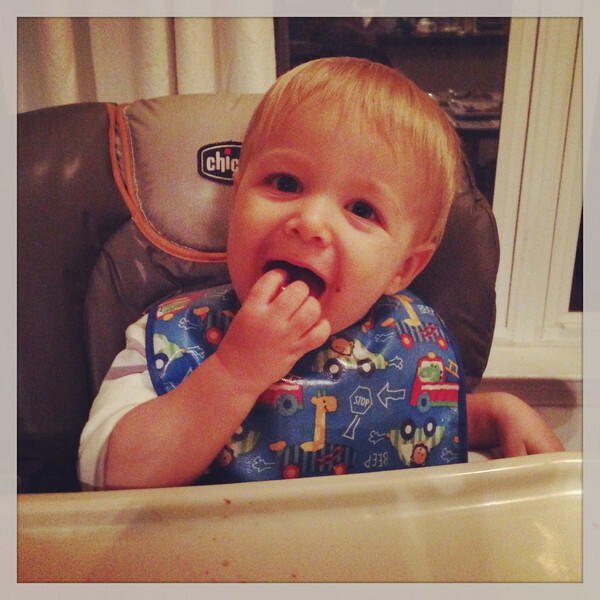 This kid could eat NON-STOP!!! 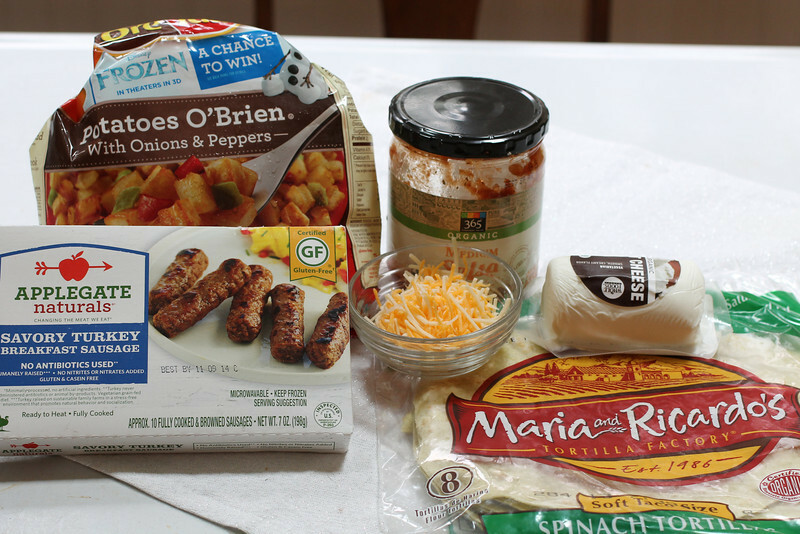 This morning, I made breakfast burritos to freeze so we have a quick and healthy breakfast when we’re on the go! Here is my recipe. Heat 1 Tbsp vegetable oil in a large nonstick skillet (I used cast iron) over medium heat. Cook potatoes and sausage according to package instructions (basically until softened and browned). 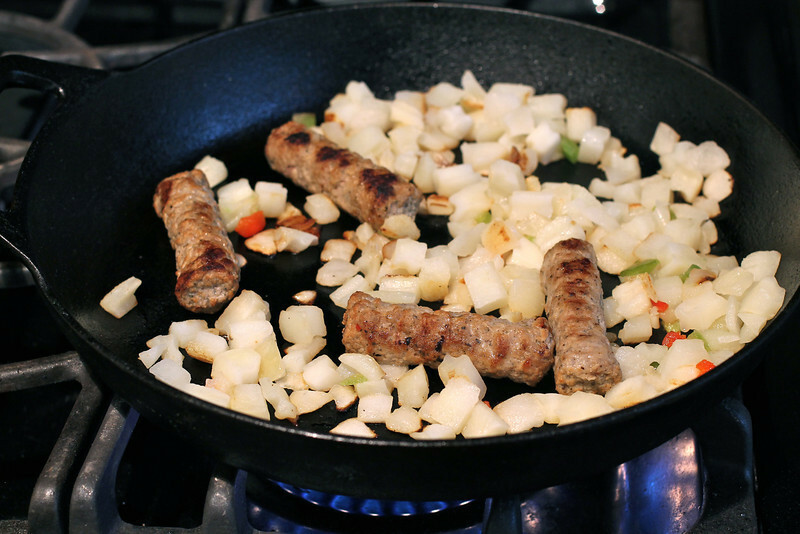 Slice sausage into bite size pieces and return to pan. Whisk eggs, salt, and pepper up in a bowl. 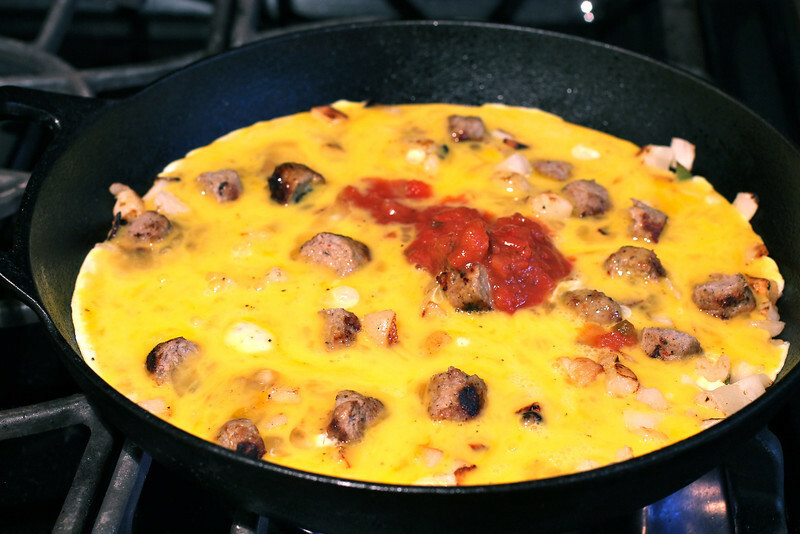 Add eggs, salsa, goat cheese, and cheddar to the pan. Let eggs set for about 1 minute. 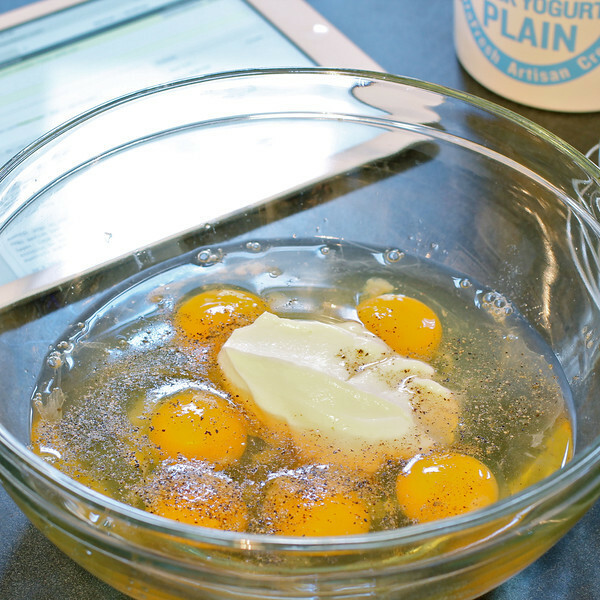 Use a rubber spatula to move eggs around the pan, about every minute, until they are cooked through. Divide egg mixture into 5 even sections. Lay out one square of foil and lay tortilla on top. Spoon one section of filling onto the tortilla. Top with extra salsa and shredded cheese. Tuck the sides in and roll up (seam side down). Roll the foil up around it. Repeat with remaining tortillas and filling. Place tortillas in a large ziplock bag and freeze. To re-heat in the morning: Remove foil, wrap burrito in paper towel, microwave, using the quick defrost button, for 90 seconds to 2 minutes. Time and setting will vary depending on your microwave! 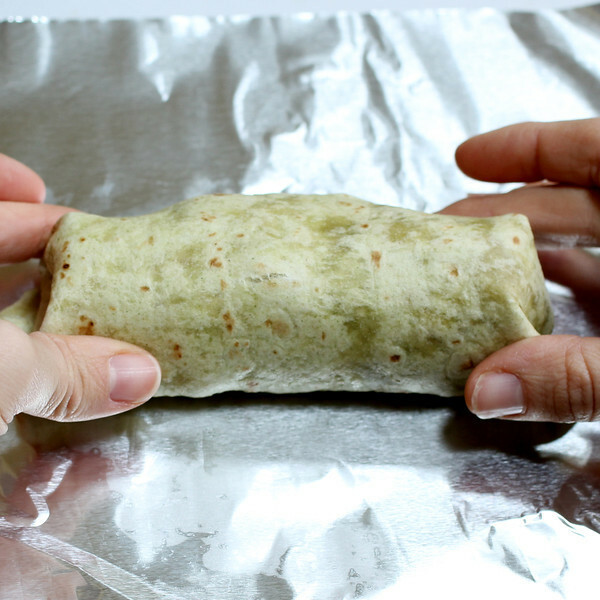 If you have more time, you can always keep the burrito in foil and warm in the oven. 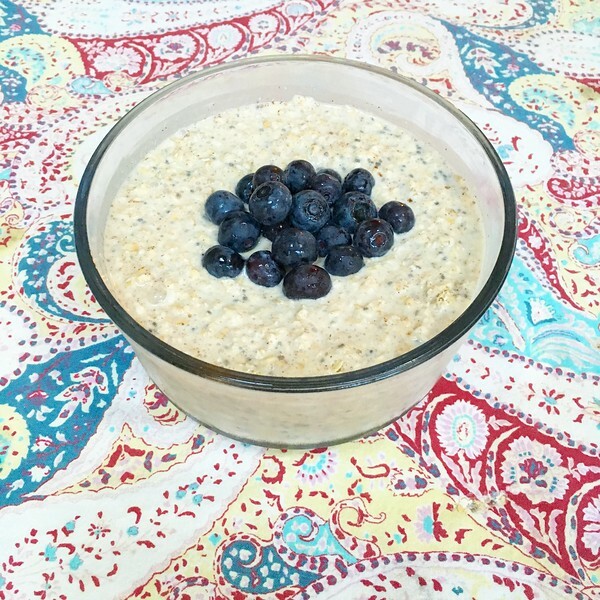 Cook oatmeal (I used quick cooking oats) according to the package instructions. 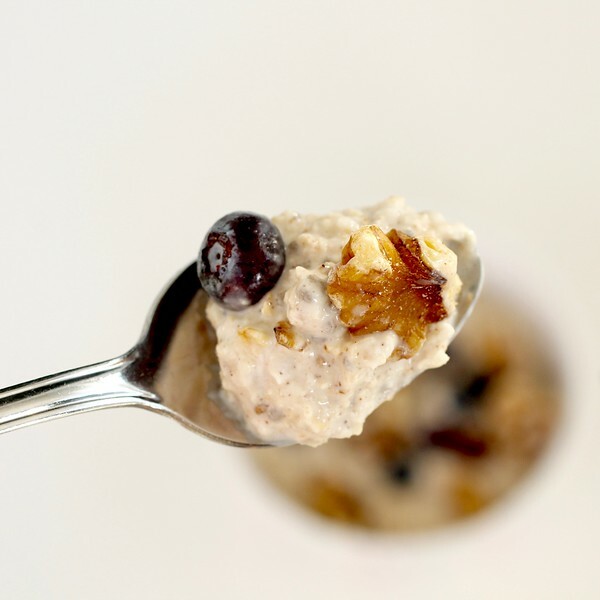 Pour oatmeal into serving bowl and set aside. Meanwhile, heat a nonstick skillet (I used my trusty cast iron skillet) to medium heat. 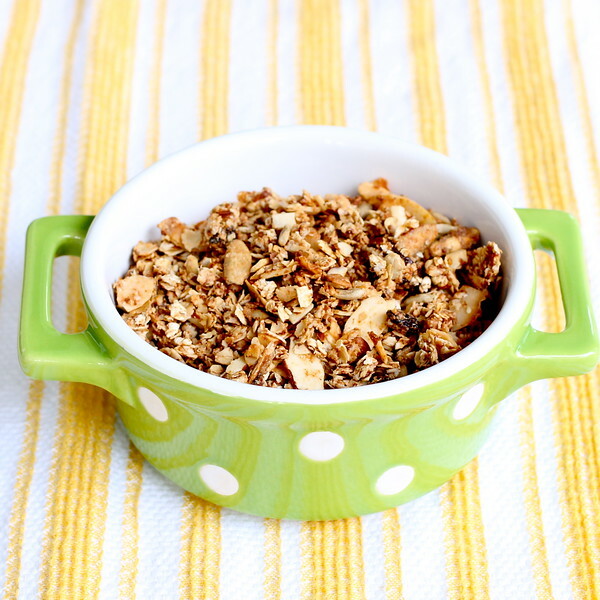 Toast the walnuts for about 4-5 minutes, stirring occasionally, until crunchy. Remove and set aside. In the same skillet, add oil, brown sugar, and pineapple. Stir until sauce thickens and coats the pineapple, about 3 minutes. 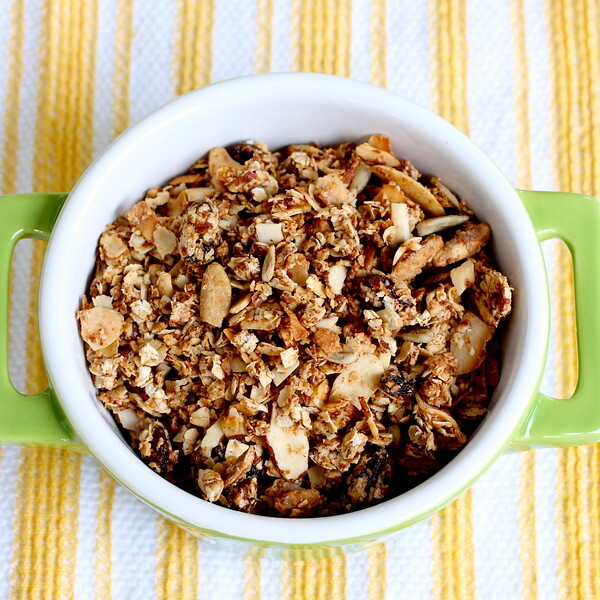 Sprinkle oatmeal with chia seeds, coconut flakes, walnuts, and pineapple. 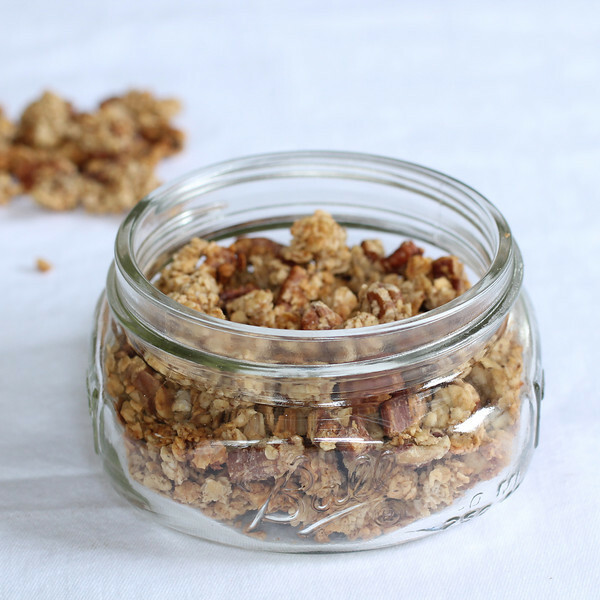 Drizzle the top with honey. Enjoy! Wow…this is delicious. The best part about having a food blog is that I get to eat the creations after I finish shooting them! I’m always looking for more exciting breakfast ideas. Usually, I’ll just have a bowl of cereal with some fruit, because it’s quick! But, when I have a few extra minutes, I like to make a wholesome breakfast. 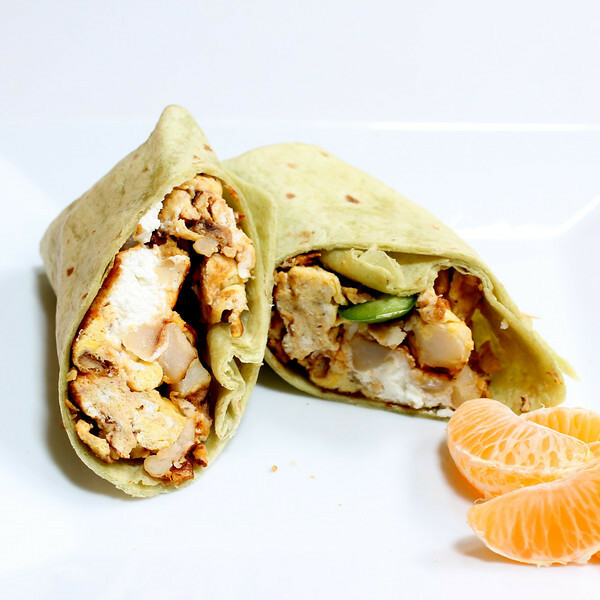 This wrap is bursting with flavor. It has the salty prosciutto, the tangy goat cheese, and the sweet and spicy pepper relish. The textures are amazing too! There’s a little crunch from the prosciutto mixed with the creaminess of the goat cheese and avocado. It truly is mouthwatering! Heat nonstick skillet to medium heat. Cook the prosciutto on both sides until crisp (just like bacon). Meanwhile, spread the pepper relish and goat cheese onto the center of your wrap. 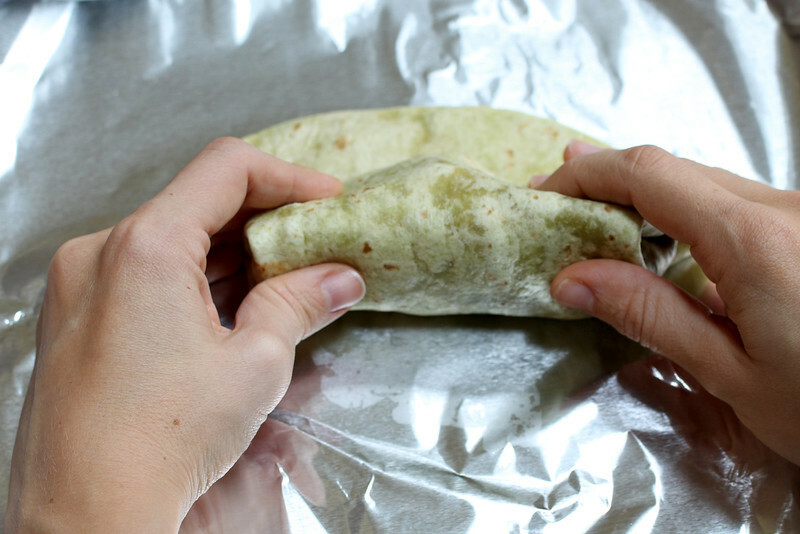 Place the avocado down the center of the wrap. Once, the prosciutto is crisp, place on top of the goat cheese. In a separate bowl, beat the egg with the salt and pepper. Stir in the spinach. In the same skillet, cook the egg on both sides until no longer runny. Place the egg on the center of the wrap. 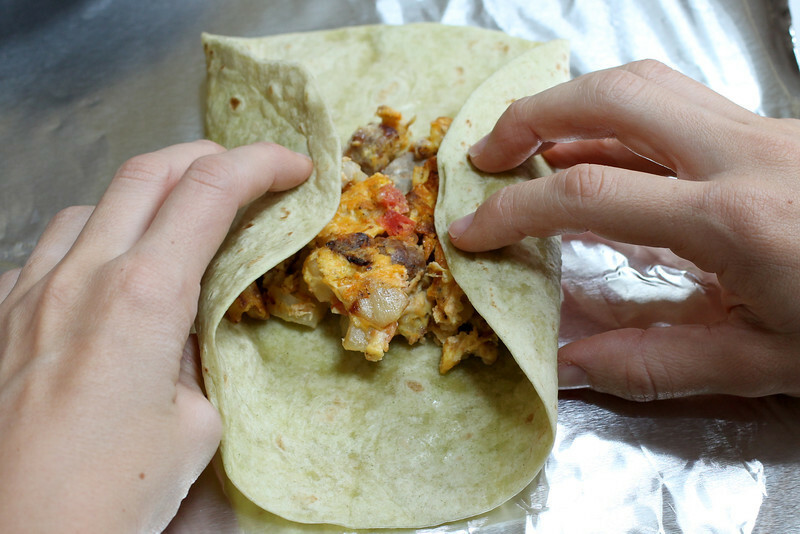 Fold the top and bottom of the wrap over the eggs, and start rolling from the long end until you have a burrito.